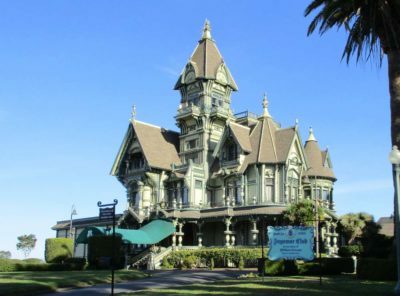 On our recent travels in NorCal and southern Oregon I was driven past the Carson Mansion in Eureka CA. Now that, my friends, is what trim carpentry is all about. A friend of mine that owns a business building high end homes said ” a good finish carpenter is worth his weight in gold”. The funny thing is I’ve heard good finish carpenters thank God for a good painter to hide their mistakes.